Where Greater Sea-spurrey (sometimes referred to a Media Sand-spurrey) occurs, it usually grows in profusion. 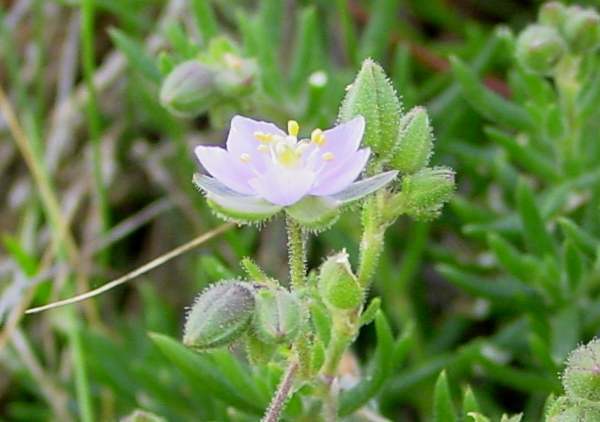 Greater Sea-spurrey is an annual/perennial plant with fleshy strap-like leaves. 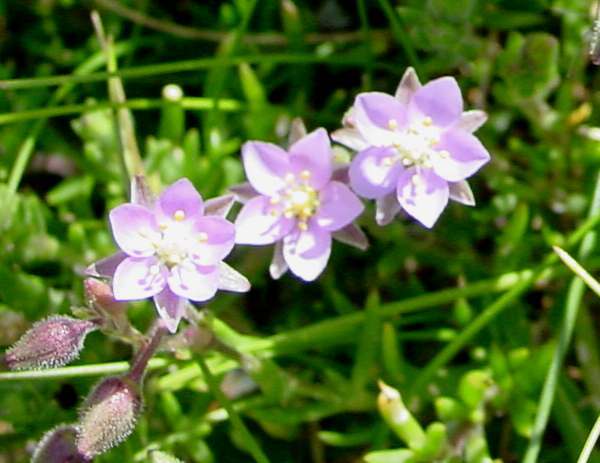 The white or more often pinkish flowers are 8 to 12mm across and have five petals that are backed by slightly shorter sepals. 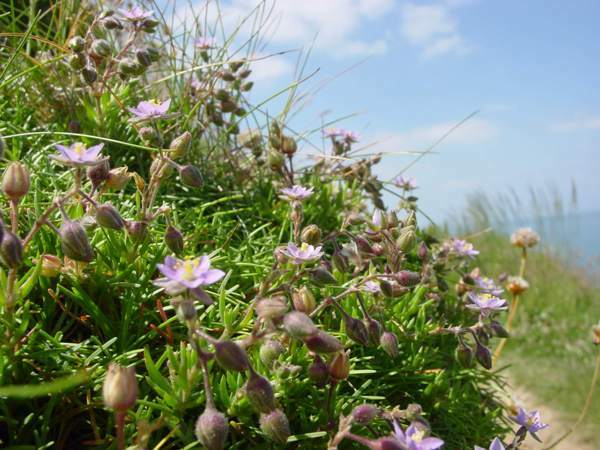 Above: Greater Sea-spurrey on the Pembrokeshire Coastal Path, Wales UK. If you walk along the coastal paths of West Wales you will see plenty of these pretty summer flowers. They also grow in dry stone walls in some parts of Britain. 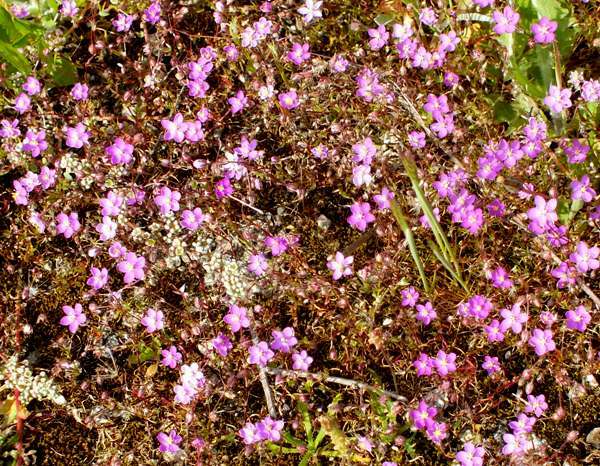 Above: Greater Sea-spurrey in the Algarve, Portugal.